You will find here shelf and cabinet systems which you can add to rackmount system or install them just on shelves. Players offered here are NOT rackmounted. They are in different sizes and disigned to be put on shelves. The smallest unit is our PerfectStreamer-Nano: 4.5 x 4.4 x 1.9 inches. All of them have the same, user friendly interface. Connect PerfectStreamer Nano onto the same network and configure to stream movies and music right away! Add multiple units for easy whole house streaming! HDMI output. Wireless. 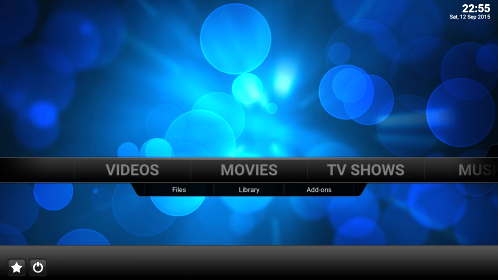 Entertainment is just a click away: browse and find your favorites by cover art via the rich XBMC/Kodi interface. UHD movies and HD music. DVD drive installed. The Dune HD Solo 4K is the latest generation of Dune HD Network Media play lineup. Bringing Back FULL BD ISO playback with menu control, full Control4 integration, and 4K/HEVC video playback. OpenSqueeze Solo networked music player. Play / Stream music from stored or online streaming services over wired / WiFi connections. · Add multiple units for multiple streams, or synchronize playback · Two-way drivers for all popular control systems.